The Nintendo Switch has caught a lot of attention from third-party developers in its first year. As Nintendo have such a strong first-party lineup, fans generally tend to buy their consoles for the exclusives. However, third-party support is very important to a console’s success and the Big N has seemingly been cooperating with third-party developers more than they have done in recent memory. History of third-party support on Nintendo home consoles has been a roller-coaster over the years. Nintendo’s handheld line has a better track-record over the last few decades and has seemingly kept Nintendo afloat. So how has their story played out over the years, and does third-party support look promising now that they have combined their home console and handheld technology into the Nintendo Switch? During the late 80s and early 90s, Nintendo were the uncontested leaders, with companies like Sega merely trying to make a dent in the video game market. However as more companies wanted a piece of the gaming market pie, sales took a steady decline and so too did the third-party support. The NES was the hot console on the market, and the name Nintendo was forever known to mothers as the word that would refer to every video game console. Nintendo monopolised the market by having third-parties sign an exclusivity agreement if they wanted to make games for the NES. The agreement stated that developers could only make a maximum of five games per year for the NES to keep up quality control. Nintendo implemented these strict guidelines so that they could have staying power and to avoid ending up like Atari after the video game crash in 1983. Nintendo were ruthless under Hiroshi Yamauchi’s leadership, and many third-party companies weren’t particularly happy with the way that he had conducted business, but Nintendo having control of over 90% of the market left them with little alternative. Some of Nintendo’s most popular games on the NES were from third-party developers, as 12 of the 30 games on the NES Classic are from developers other than Nintendo. The NES Classic contains some games that had ignited long-lasting franchises, such as: Final Fantasy and Castlevania. The SNES was home to some amazing third-party titles, and is synonymous with some big names, such as: Square and Capcom. However in this era, Nintendo were no longer the generation-defining video game company. 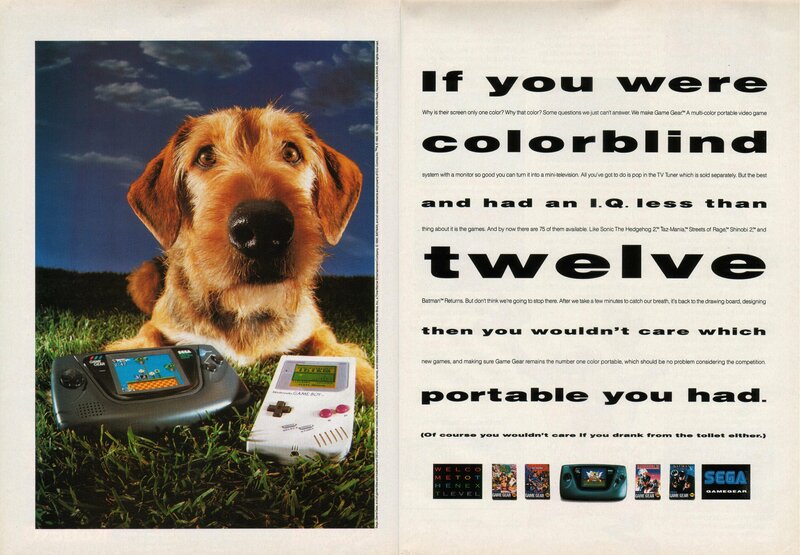 Sega came out swinging with their aggressive marketing campaigns for the Sega Genesis (or Mega Drive everywhere else). We all know the Sega Does What Nintendon’t tagline which proved that Sega weren’t afraid to get their hands dirty. Fights would break out on the school playground over who was better: Mario or Sonic? At the time, Nintendo were also making some very powerful enemies. They had publicly embarrassed Sony by calling off their deal for the Nintendo PlayStation (what a crazy alternate universe that would’ve been!) and signed a deal with Phillips. With Nintendo’s strict licensing agreements, and Sega beginning to gain some leverage in the video game market, third-party developers now had another platform to develop on. The Sega Genesis/Mega Drive was more flexible in its terms for development, and developers saw this as a platform that they could make more mature games for. But it wasn’t all doom and gloom. Just like the NES, third-parties developed some of the most memorable games for the SNES. The SNES Classic has eight games developed by third-parties out of the total 21 games on the system. It contains some franchise-defining games, such as: Final Fantasy 3 (or 6) and Mega Man X. Throughout all of this, it is fair to say that third-party support was pivotal to Nintendo’s success in the late 80s and early 90s. With Sega beginning to lose momentum with the Sega Saturn, and with Sony releasing the Sony PlayStation in spite of Nintendo to unprecedented success, Nintendo had found themselves in a very awkward position. Their decision to stick with cartridges over CDs was a shock to consumers and developers, as CD-based technology appeared to be the unavoidable future. Cartridges had the ability for much faster loading times and Nintendo completely skipped 32-Bits and decided to go for 64-Bits; but despite these positives, CDs had more memory capabilities and were much cheaper to produce. Third-party developers were already unhappy with Nintendo selling the cartridges at exorbitant prices, so opting to put their games onto a system with cheaper costs and less quality control proved more enticing. Nintendo lost some major third-party support from companies that seemed synonymous with the Big N. Throughout the life of their first two consoles, Nintendo had unwavering support from Square and fans were shocked when the third-party company had begun developing their games for Sony. Square provided Nintendo with a lot of classic JRPGs, a genre that the SNES was well known for. Consequently, the Nintendo 64 didn’t receive an RPG until 1998 with Quest 64, which received mixed reviews. Meanwhile, the Sony PlayStation had Square’s Final Fantasy 7 released in January 1997, and we all know how well that game was received. To rectify the situation, Nintendo began development on a disc drive add-on called the Nintendo 64DD. This peripheral was designed to play games that could not be developed on to cartridges due to memory constraints. At one point, Final Fantasy VII was planned to release on the Nintendo 64DD, but plans fell through due to the poor sales of the peripheral. A few notable first-party releases were also planned for the 64DD (including Mother 64 and Fire Emblem 64), but these plans were also scrapped and Nintendo chose to focus on the future. With the announcement of the Gamecube, Nintendo had taken a step in the right direction, as well as a step back by using 8cm mini discs. These discs were created by Panasonic, who also developed the Panasonic Q that only saw a release in Japan. The Gamecube saw an increase in third-party support throughout its lifespan, however at this stage, the damage had already been done. According to VGSales, the GameCube only sold 21.74 million units in its lifetime. Comparing that to the PlayStation 2’s 155 million units, it was clear where the third-parties wanted to put their games. After Rare was bought out by Microsoft, a lot of pressure was put onto Nintendo to make some console-defining games. However, this isn’t to say that the Gamecube didn’t have some great third-party titles on the Gamecube, such as: Viewtiful Joe and Resident Evil 4. Nintendo received some consistent support from Capcom in the console’s early years, and also from Sega (which took some time to get use to). In the past when Nintendo developed new consoles, they had focussed on what more powerful hardware could do for the playing experience. This time around, they took a very different approach and opt to change the gameplay with motion controls to alter the gaming experience. This new way of interaction with video games encouraged local multiplayer gaming for the whole family. The Wii may have seen less core gaming experiences, but it certainly did keep local multiplayer alive at a time where online gaming was beginning to reach its stride. With the major increase in overall hardware sales (101.59 million total units sold), the Wii saw overwhelming support from third-party developers. However, not all of that support was welcomed by fans, as third-party software was often shovelware or watered-down versions of more advanced games on HD consoles. Third-party developers were unable to ignore the overwhelming success of the Wii and the massive user-base that it had. The family friendly console received some truly amazing third-party titles, such as: Red Steel 2 and No More Heroes. Throughout the Wii’s life, it continued to receive consistent releases from big AAA developers like EA and Ubisoft. This era still stings for all Nintendo fans out there. The Wii U had a love-hate relationship with so many gaming enthusiasts. It bolstered a great first-party lineup, but some would argue that it contained nothing spectacular (apart from Legend of Zelda: Breath of the Wild which is more synonymous with the Switch). The Wii U had a fairly respectable third-party lineup within the first couple years; however, some third party support seemed to follow the trend from the Wii era with watered-down versions. As it was becoming clear that the Wii U was not going to be a success, third-parties chose to stop supporting it. This was mainly due to the system’s lack of power and the confusing architecture with the gamepad. Ubisoft had initially promised strong support for the Wii U with ZombiU and Rabbids Land, and then continuing with Assassin’s Creed 3 and 4, but the support fizzled out over time. Fans later learned that Ubisoft were still planning on supporting the system in its latter years with Mario + Rabbids: Kingdom Battle, but this was eventually moved to support the Switch’s launch year. The Wii U also received some exclusive gems from Platinum Games with The Wonderful 101 and Bayonetta 2. However despite all of its exclusives, the Wii U received less third-party titles, and when it did, the gamepad integration wasn’t enough justification for people to buy them over their PS4 and Xbox One counterparts. This plan was evidently unsuccessful as the third-party support continued to dwindle, but there was more emphasis put on first-party support. The story behind third-party support for Nintendo’s handheld systems is very different from the one for their home consoles. Nintendo have always ran supreme when it comes to the handheld market, despite having competed with many other rival companies. The Game Boy line was released in 1989 in North America and wasn’t discontinued until 2003. This system received a lot of different iterations, including: Game Boy, Game Boy Pocket, Game Boy Light and Game Boy Color. It had many different competitors over its 14 year run from companies such as: Sega (Game Gear and Nomad) and Atari (Lynx). Despite having so much competition, the Game Boy line was always on top in terms of sales, even though it did not receiving a colour iteration until 1998. Sega of America attempted to highlight this in their aggressive marketing campaigns, with varying degrees of success. The Sega Game Gear received a lot of stellar first-party Sonic titles that fans of the hedgehog gravitated towards, however it lacked the third-party support that the Game Boy had received. To this day, the Game boy isn’t revered for its third party titles as Nintendo and their second-party developers were committed to support this system just as much as their home console counterparts. However, the handheld did receive some top selling third-party titles, such as: Final Fantasy Adventure (Developed by Square), a series of Mega Man titles and DuckTales (Both developed by Capcom). Quite often, the Game Boy received watered down versions of their home console counterparts, designed for quick and easy play sessions for a portable gaming experience. It took Nintendo 12 years to release a true successor to the Game Boy in 2001. Unsurprisingly, first-party and second-party titles continued to outsell third-party titles on this system as well. However, when the gaming landscape was focussing almost entirely on 3D gaming, the Game Boy Advance offered the 2D experience that was reminiscent of the Super Nintendo. The GBA received a plethora of third-party titles, including many stellar Castlevania games from Konami, a series that was becoming known for its PlayStation title Castlevania: Symphony of the Night. Even with Square not making games for Nintendo’s home consoles and putting their beloved Final Fantasy series onto Sony’s PlayStation consoles, they continued to provide consistent support for the Game Boy Advance with titles like: Final Fantasy Tactics Advance and Kingdom Hearts: Chain of Memories. This was the period where it just seemed like Nintendo could do no wrong. Everyone and their grandparents owned and played on their Nintendo DS. The DS released around the same time as Sony’s PSP, which proved to be very competitive in the handheld market. The DS came at the high point of handheld gaming, just before the rising popularity of smart phones. With the DS coming out around the same time as the Wii, third-party developers were beginning to pay more attention to Nintendo again. The DS received a lot of third party support, with notable efforts from: Level-5, Sega, Atlus and Square Enix. The Professor Layton franchise made its debut on the Nintendo DS system and it has since become an overwhelming success for Level-5. Atlus also made the Etrian Odyssey series’ debut on the DS and has since gone on to be a staggering success. Both the Professor Layton series and the Etrian Odyssey series expertly used the DS’s dual screen technology at a time when developers were still trying to fully grasp its potential. Nintendo generally tends to receive consistent support from Japanese developers, but even western third-party companies had begun making titles for the DS. The handheld had titles like Call of Duty 4: Modern Warfare, many Fifa iterations and Guitar Hero; despite these titles being watered down versions of their console counterparts, they were reviewed quite well and sold respectably. The Nintendo 3DS got off to a rocky start and developers seemed hesitant to support the system. 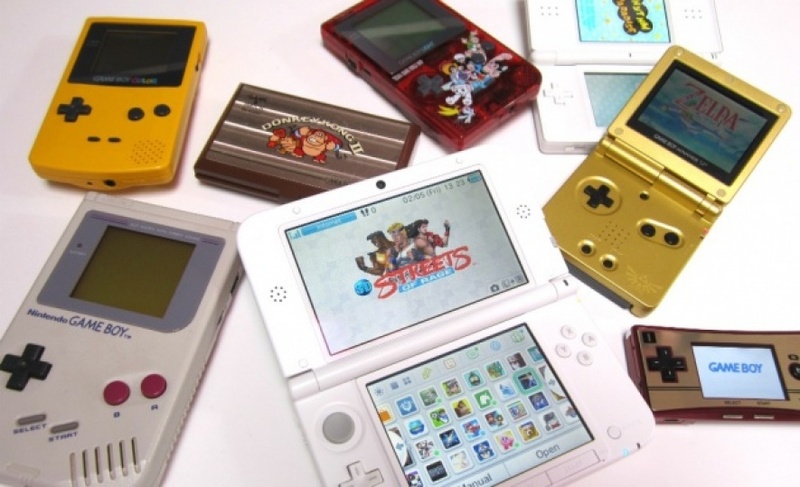 As the 3DS continued to build a strong library of first-party titles (and with the inevitable arrival of Pokémon), more third-party developers had begun to support the system. The 3DS received the usual support from Japanese developers that made games for the DS, such as: Level-5, Sega, Atlus and Square Enix. Level-5 continued to make Professor Layton games and also started developing Inazuma games and the Japanese sensation Yokai Watch. Atlus continued their support with more entries in the Etrian Odyssey franchise and Square Enix sought to develop a brand new franchise for the 3DS with Bravely Default and Bravely Second, as well as Kingdom Hearts 3D: Dream Drop Distance. The Bravely Default series was designed to be a turn-based RPG reminiscent of the earlier Final Fantasy games that older Nintendo fans remembered nostalgically. Capcom found massive success on the 3DS with their Monster Hunter series, which had previously been released on many other platforms like Sony’s PSP and PlayStation 2. Ever since the late Satoru Iwata’s announcement of the NX at the DeNA press conference back in March 2015, speculation had immediately begun around whether third-party developers were going to provide support. The console took two years to come out since its initial announcement, and fans jumped at any slither of news or rumours that they could find along the way. Whenever a game was announced for the system, the internet would erupt in forums and opinion pieces. One of the first inclination of games coming to the NX was when Square Enix let it slip about a potential Dragon Quest 11 release. To this day that hasn’t happened, but the internet instantly began speculating about the specifications of the console and whether it was as powerful as the PS4. As the release date grew nearer, hints were dropped and small indie titles continued to be announced for the NX. Sega then unveiled that the new 3D Sonic game was to be released on the NX, and fans once again lost their collective minds. After what seemed like an eternity of waiting, all speculation dissolved after fans finally received that first commercial unveiling the Nintendo Switch. This commercial showed off the appeal of the Switch and some of the stellar first-party titles that would be released; but it also showed off some third-party titles that would make its way onto the system. NBA2K18 was a very exciting announcement for all those sport-enthusiast gamers out there, but the big reveal was The Elder Scrolls V: Skyrim. This not only showed that Nintendo was getting a six year old open world game, but rather it showed Nintendo’s dedication to courting western third-party developers. Nintendo has never had an Elder Scrolls game released on their consoles before, and they were finally looking to change that. What’s really exciting is for all of us at Bethesda to finally work with Nintendo… the Switch is both classically Nintendo yet something all new, and we want to thank them for letting us be apart of it. The last notable game that Bethesda released on a Nintendo system was Home Alone for the NES, SNES and Game Boy in 1991 and 1992 which was met with less than favourable reviews. Since then, Bethesda has made a much bigger name for themselves, and the partnership between them and Nintendo only bodes well for both companies’ futures going forward. After the initial reveal, Nintendo fans had to wait another three months to learn more about the Switch and its upcoming games. At the January event, critics and journalists pointed out that there wasn’t much in the way of third-party support, and the speculation reignited itself. Nothing was said about this supposed Rabbids game from Ubisoft, and they remained relatively quiet in comparison to their determination to support the Wii U in its early years. We later learned that this Rabbids game was in fact true and that Ubisoft had plans to support the Switch, but fans were left in the dark at the time. 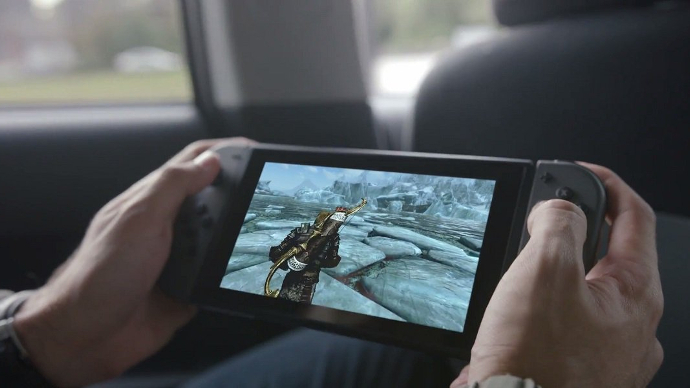 Bethesda’s Todd Howard showed up just to say that they were excited about bringing Skyrim to the Switch, which wasn’t news to anyone, but it helped to highlight that Nintendo were eager to work with western third-party developers. EA’s Patrick Söderlund also gave a speech, but seemed very unenthusiastic about bringing Fifa to the Switch, despite giving his own son the middle name Luigi. EA had nothing more to announce at the time, which left fans feeling unsure about the future of EA support on the Nintendo Switch. At Nintendo’s January presentation, they had showed an image displaying all of the third-party developers that were committed to supporting the Nintendo Switch. Since then, many other third-party developers have announced their commitment to the Nintendo Switch. Rockstar Games was a developer that announced their support later in the year, bringing L.A. Noire to the Switch with exclusive Joycon features and touch screen options in handheld mode. So far, majority of the third-party developers listed have either released a game or have since expressed future intention. It is currently an exciting time to be a Nintendo fan. At Nintendo’s January Press Event, Nintendo assured fans that the Switch was going to have a healthy influx of indie titles. Fans were over the moon to discover that Suda51 would be making a new No More Heroes title for the Nintendo Switch, which its predecessor is deemed to be one of the best third-party titles for the Wii. Three days before the Nintendo Switch was released, fans were treated to a Nindies Showcase. This Showcase announced that a multitude of fantastic high-quality titles were on its way to the Switch. Indie games are becoming increasingly respected amongst the gaming community as they are no longer seen as filler games. Leading up to its release, fans and critics were still very sceptical about the third-party situation for this console’s future. Having this Showcase three days before the Switch’s release showed that the console was guaranteed to release third-party support one way or another. The indie community can also stir up feelings of nostalgia with graphics and gameplay that are reminiscent to games during the NES and SNES era. Titles such as Shovel Knight: Treasure Trove and Blaster Master Zero are embraced on the Nintendo Switch with its classic 8-Bit art style. The Showcase unveiled a plethora of stellar indie titles that gave fans reassurance that there will be plenty to play when they weren’t playing Legend of Zelda: Breath of the Wild. As the system has now had time to develop its game library, we are seeing indie game titles released almost every week. Having indie titles released in between AAA titles keeps the momentum going, which was how the Wii U had struggled. Indie games have proven to be successful on the Nintendo Switch, with multiple instances where the game has sold better on the hybrid console. Image & Form’s Steamworld Dig 2 was reported to have sold 10 times as much on the Nintendo Switch than on Steam and Wonderboy: The Dragon’s Trap has sold 100,000 copies on the Switch at the time of this article. From what fans have seen so far, the Switch appears to be a great fit for the indie community. indie games tend to be 2D sidescrollers as they are easier and cheaper to develop. Having these games on a hybrid system allows for quicker playthroughs when on the go. Indie games that have been previously released on other consoles seem to have a whole new lease on life on the Nintendo Switch. Stardew Valley has seen unprecedented success on the hybrid console as it is the first true portable console version. This title just seems like a perfect fit and the praise it has received from Nintendo fans is a testament to that. A lot of indie companies are willing to experiment with the unique features of the Nintendo Switch. Graceful Explosion Machine and Overcooked utilise the HD Rumble feature to create a unique experience that is only available on the Switch. Although, we have still yet to see any game that uses the motion IR camera on the right joycon. The future for indie titles on the Nintendo Switch seems bright and full of possibilities. Nintendo have finally begun embracing this new form of third-party gaming, and fans couldn’t be happier. During the reveal commercial, fans knew that the Switch was going to receive more support than the Wii U had. Since the launch of the Switch, a lot of third-party developers have expressed their interest in making games for the console. As this appears to be a completely new era for Nintendo, it is difficult to predict whether third-parties are supporting the Switch as a home console or a handheld. One notable developer that is committed to supporting the Switch is Square Enix. This company has consistently supported Nintendo’s handheld systems, but hasn’t supported their home consoles since the SNES. At Nintendo’s January event, Square Enix announced an exclusive JRPG called Project Octopath Traveler (Working Title). They have also expressed interest in bringing Final Fantasy XV to the system, however we are still uncertain whether that will be the same version that’s on PC, PS4 & Xbox One or the mobile edition. Having Square Enix recommitted to developing games for Nintendo’s home consoles is a big step in the right direction as we are reminded of Nintendo’s glory days. A lot of the usual names that support Nintendo’s consoles seem just as eager to support the Switch. Level-5 has since announced a new Inazuma game for the Nintendo Switch and they are also looking at how they could bring the Professor Layton series to the hybrid console. At Nintendo’s January Press Event, Atlus announced Shin Megami Tensei V (a brand new iteration in the ongoing series) and dedicated fans couldn’t be happier. Capcom appeared to be apprehensive towards the Switch at first, however they have since changed their tune and appear on board with supporting the Switch. Fans were concerned at first when Capcom released the Disney Afternoon Collection on the PS4 and Xbox One and not for the Switch. However since then, the console has received Resident Evil Revelations 1 & 2 and has received announcements of Mega Man 11 coming in late 2018. Capcom have also stated that they plan to support the Switch with the Ace Attorney series which has seen a lot of success on Nintendo’s handheld systems in the past. At first, Ubisoft didn’t show much enthusiasm for the Nintendo Switch, but at E3 2017 they proved that they always intended to support the console with Mario + Rabbids: Kingdom Battle. Not only was this title a console exclusive, but it showed that Nintendo are becoming more willing to license out their characters to third-party developers – just as long as we don’t see another terrible movie. Ubisoft also planned on bringing over some other titles, such as: Steep and Monopoly. At E3 2017, Ubisoft announced Starlink: Battle for Atlas for all consoles (including the Nintendo Switch) which was a surprise to fans, as well as announcing the unsurprising Just Dance for Switch. This support from Ubisoft is incredibly reassuring after the situation that unfolded with the Wii U. A lot of fans were left with feelings of resentment towards Ubisoft, but little did they know that behind the scenes, Ubisoft were working on the exclusive Mario + Rabbids title. A massive shock that nobody saw coming was Bethesda’s determination to support the Nintendo Switch. Fans were surprised to see the man on the plane playing Elder Scrolls V: Skyrim in the reveal trailer, and we received confirmation of this iconic title by Todd Howard himself at the January event. This edition of Skyrim also has exclusive features, such as Amiibo support and motion controls. The shock continued when in the September Direct, Nintendo announced that DOOM and Wolfenstein II: The New Colossus would be coming out for the Switch. Lately, it appears that Nintendo are no longer just seeking games that are family friendly. The Switch has seen a lot more mature games as of late, and Bethesda’s unwavering support so far is a testament to that. Despite a lot of positive news coming out for the Switch this year, there has also been some negative news. EA has been hesitant towards supporting the Switch in its initial year. They have released a version of FIFA 18 that was lacking some features that their counterparts had, and have no other plans for any other high profile releases. They have announced that Fe will be releasing on the Switch in early 2018, but this game isn’t being internally developed by EA. According to VGSales, the Nintendo Switch has sold 7.63 million units as of September 30, 2017. This number came about before the console’s first Black Friday, Cyber Monday and Christmas season. It was also reported that the Switch was the best selling product on Black Friday and Cyber Monday in North America, however we do not have any specific numbers as of yet. With this early success, the Nintendo Switch should be attracting more and more attention from third-party developers. It now remains to be seen how this trend will develop as the years go by.